Gramatik has always been an early adopter. It began at the age of 3, when his mother would catch him glued to the radio in his older sister’s room, checking out the cassette tapes with American funk, jazz, soul and blues. He started making his first beats on an early PC by the time he was 13, and soon the kid from Portoroz, Slovenia figured out how to harvest the power of free file sharing to build a following throughout the US & Europe. Tracks spread, hype grew, tours followed, and before long his digital persona forged the initial inroads into the US market, landing him both a label and an agency. Gramatik landed on US soil as a fully formed artist who knows how to do things his way. He signed to a label, Pretty Lights Music, that gives all of its music away for free, which went hand in hand with his own philosophy about ''freeing music by making music free''. Soon after, he scooped up his hometown crew and moved to Brooklyn, NY. Alongside Gramatik, the multimedia collective known as Dream Big features guitarist and producer F.A.Q, video director and filmmaker Anze Koron and graphic and web designer Martin Kenjic, with whom he has been friends since they were kids, sitting in a small town on the Adriatic coast, dreaming of breaking out into the wide world beyond. Now’s the time. 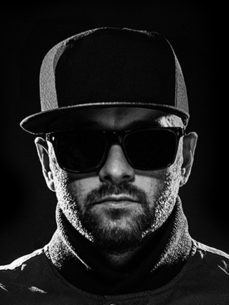 Of his new record #digitalfreedom Gramatik says, "My new EP bares the title #digitalfreedom. As an artist that based his entire career on the platform of free file sharing, I'm dedicating it to the fight against severe internet censorship bills we've been hearing about so much in the past months. Bastards have been trying to cripple the internet on a global scale with bills like ACTA/SOPA/PIPA and I'm sure there's more of them coming, so this one goes out for spreading awareness! Reject them all, they will never stop the sharing, the Internet is our realm, DIGITAL FREEDOM!"